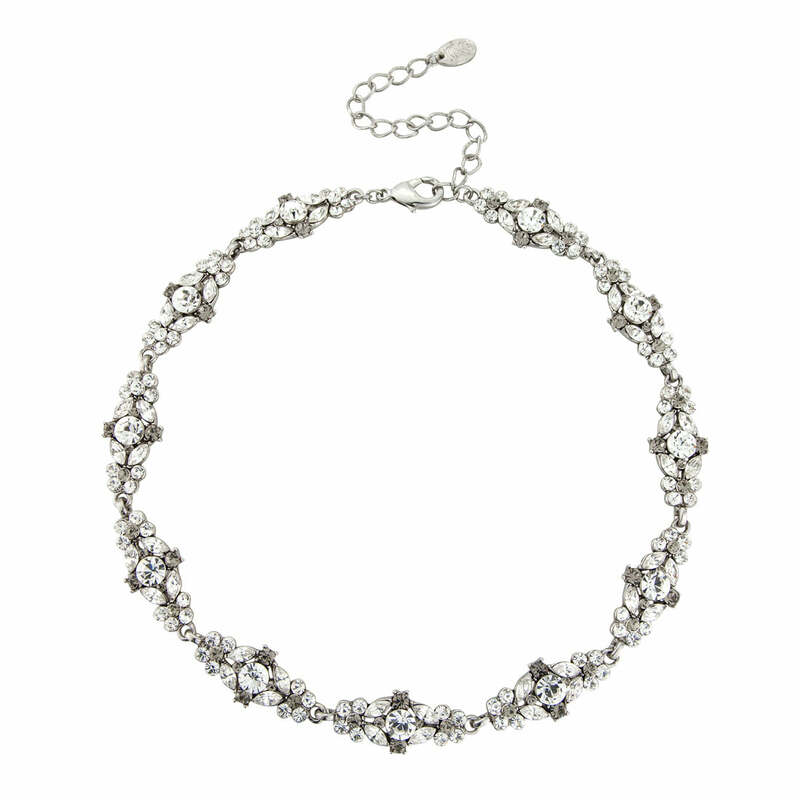 This 1940s inspired smoky crystal collar design is effortlessly classic and glamorous. Our stunning Forever Vintage Necklace featuring an abundance of brilliant and marquise cut clear and smoky Austrian crystals set on antique silver tone, is the perfect necklace for fans of vintage costume jewellery. Taking influence from 1940s jewellery with a hint of classic Victorian class, Forever Vintage is an eternity style necklace which sits perfectly on the collar bone. Go for striking style by coordinating with Forever Vintage Earrings and Bracelet. The most exquisite wedding necklace for brides who favour muted antique bridal jewellery, this would compliment a vintage inspired wedding gown to perfection. For sensational style, coordinate with a smoky crystal side tiara.